At the beginning of the year, the United States Patent and Trademark Office (USPTO) dropped the filing fee for recording patent assignments online. As a result, in 2014 there has been an increase in the number of patent assignments filed online. There have also been a number of significant changes to both the Patent and Trademark Assignment websites. Patent assignment filings can be filed online using the Electronic Patent Assignment System (EPAS). 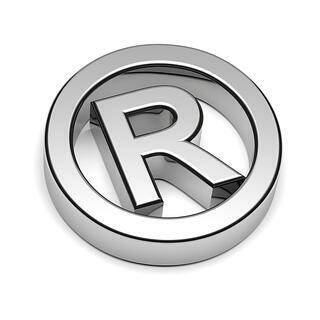 Trademark assignments are filed using the Electronic Trademark Assignment System (ETAS). The process for filing assignments online involves entering information about the underlying assignment on several screens (mostly information that is contained on the paper cover sheet used for over-the-counter filings, but with some important differences), then uploading an electronic version of the document. When filing either type of assignment online at the USPTO, the first screen you encounter involves the Conveyance Type, where you select the nature of the conveyance of the assignment. If you are used to filing by hand and using the paper Recordation Form Cover Sheet, you will notice right away that there are many more conveyance options online. For Trademarks, the difference is even more stark: the paper form includes only five conveyance types (Assignment, Merger, Security Agreement, Change of Name, and Other), and online, ETAS offers twenty-one options. This sequencing allows filers to prioritize multiple assignments and could be very useful when working with complex transactions. As more and more intellectual property assignments are recorded online, it is critical to be aware of the differences between filing online versus over-the-counter, especially since the USPTO continues to change its online interface. One should also realize that the USPTO does not read, examine or verify the assignments filed with them or conduct a title search prior to recordation. The USPTO considers its role to be a “ministerial function” without any legal determination and recordation is simply the act of placing the relevant information submitted by the filer in the public record.